Kesselgarden and Brivele – an evening of Klezmer Music and Song! 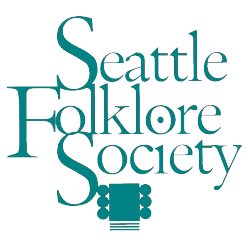 SFS is proud to present a shared evening of two local klezmer groups! 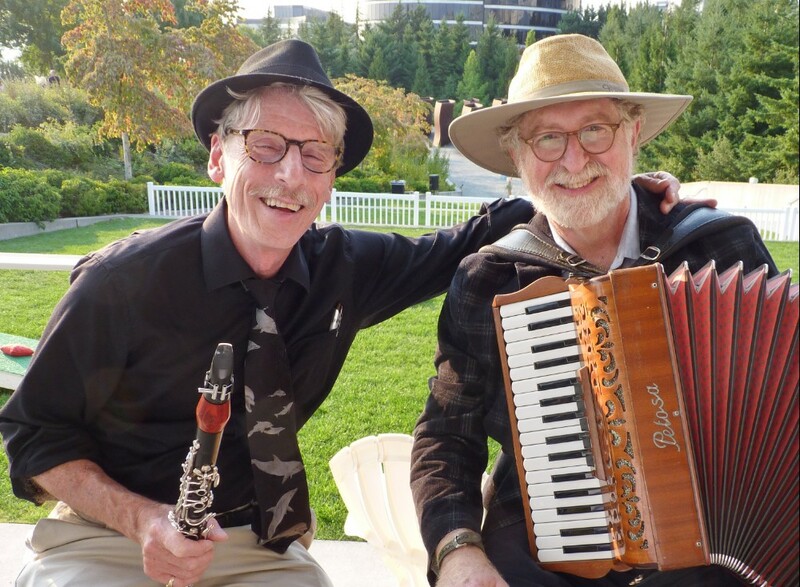 Carl Shutoff (clarinet in C) and Laurie Andres (accordion) constitute the Kesselgarden Klezmer Duo in Seattle, WA, where they have been playing together for the last 15 years. The name comes from the way Yiddish-speaking Jews pronounced “Castle Garden”, the facility on the southern tip of Manhattan where Jewish immigrants entered this country prior to the opening of Ellis Island in 1892. Among first and second generation Jews, the people Carl and Laurie honor with the music, the term Kesselgarden was eventually generalized to mean any situation that was noisy, confusing and chaotic. Kesselgarden is a traditional band, playing Eastern European instrumental Jewish music of the 19th and twentieth centuries, with original, sweet and joyful arrangements which are neither noisy nor confusing. doesn’t have to be a musician to appreciate the beauty and nuances of the music–clearly born of happy and sad moments in Europe and the United States in the early century. 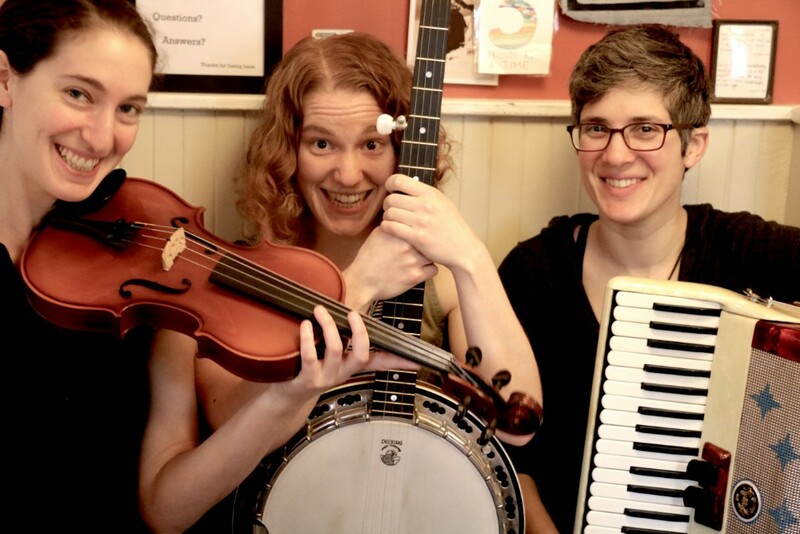 Brivele is a Seattle-based anti-fascist klezmer folk-punk trio who braid together oral history, Yiddish language, contemporary and old-country musical genres, American Vaudeville, and visual arts. 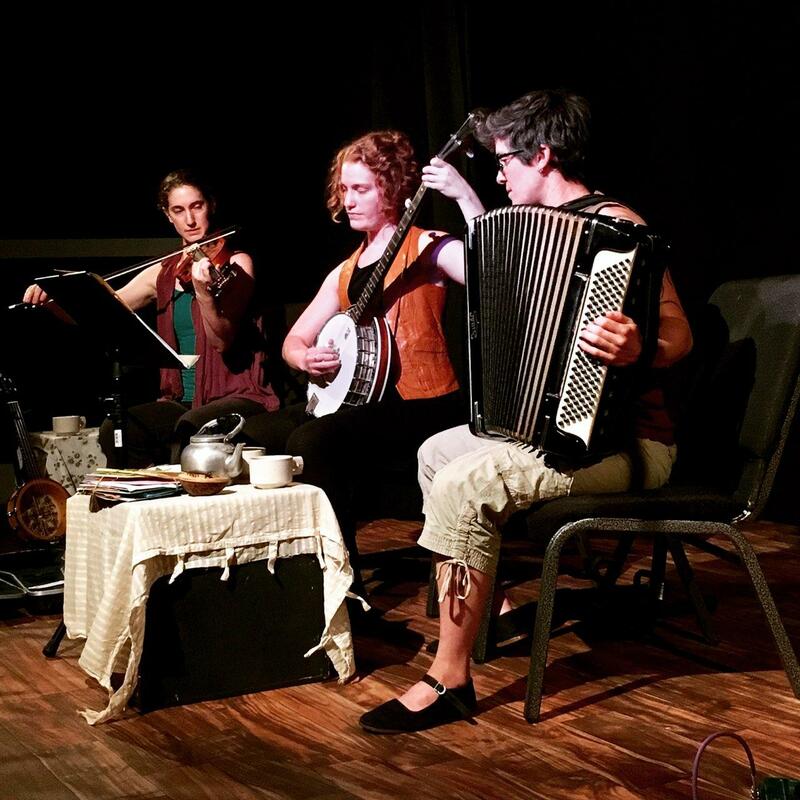 Brivele (pronounced “BREE-veh-leh” – Yiddish for “a little letter”) sing songs that have become letters to us; ancestors’ voices that speak clearly and uncompromisingly, sometimes sweetly, to our present moment. These songs have traveled through time and over borders, picking up dirt, aromas, fingerprints. They’ve been stolen, censored, and salvaged. Brivele sings a bissel Yiddish, because sometimes Yiddish says it best, tasting familiar and unfamiliar at once. 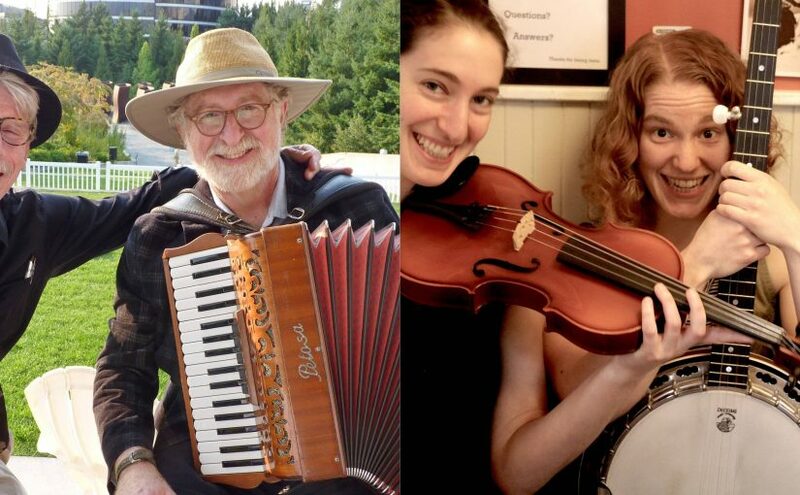 “To me, this is what klezmer, or folk music, or ok, all music should be. It’s aware and serious about the tradition in which it’s working. But it understands that music is above all for making people feel something, dammit. There’s beauty in the sadness, and there’s good laughs in the funny bits. It’s reassuring and inspiring to hear a song like Vi Azoy Shloft Der Keyser and realize how witty and subversive these old time people were. The Yiddish in the Yiddish songs is pronounced and sung beautifully, too. A Little Letter is the kind of record I aspire to make. Advance tickets are available from https://sfs-klezmer.brownpapertickets.com/ or 1-800-838-3006, and at our concerts prior to the show. Ticket sales begin approximately 60 days before show date.